Music duo consisting of Niles Hollowell-Dhar (Cyrano) and David Benjamin Singer-Vine (Campa). The Cataracs are an American indie-pop duo formed in Berkeley, California. The duo started out as an independent group, during their years at Berkeley High School. The two were first signed to Indie-Pop label. Their music is considered to be a mixture of genres including rap and pop. David and Niles met in their sophomore year while attending Berkeley High School. Singer-Vine was featured in a rap CD that was being passed around campus. The Cataracs are an American indie-pop duo formed in Berkeley, California. The duo started out as an independent group, during their years at Berkeley High School. The two were first signed to Indie-Pop label. Their music is considered to be a mixture of genres including rap and pop. David and Niles met in their sophomore year while attending Berkeley High School. Singer-Vine was featured in a rap CD that was being passed around campus. Dhar eventually heard the CD and subsequently created a response to the CD. The ?diss? response brought the two together and they soon became friends. In 2003, the two joined together to create The Cataracs (named after Snoop Dogg's song ?What's my name Pt. 2? after the phrase ?Who smoke ?til your eyes get cataracts?) . In the summer of 2006, they released their first album, Technohop Vol. 1. Soon they had 2,000 units in only a three month span. In August 2006, the group joined with The Pack to make the single ?Blueberry Afghani?. The song soon became a hit and was chosen as a ?Download of the Week? by 106 KMEL and many such as The Fader, UK's Hip Hop Connection and XLR8R praised it. The duo met in their sophomore year while attending Berkeley High School. Singer-Vine was featured in a rap CD that was being passed around campus. When Dhar eventually heard the CD, he subsequently created a response. However, the ?diss? response brought the two together and they soon became friends. 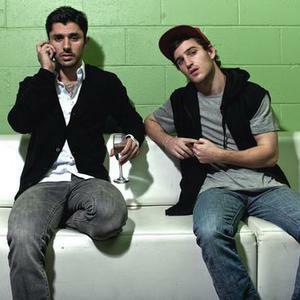 In 2003, the two joined together to create what is now The Cataracs (named after Snoop Dogg's song ?What's my name Pt. 2? after the phrase ?Who smoke ?til your eyes get cataracts?). In the summer of 2006, they released their first album, Technohop Vol. 1. In August 2006, the group joined with The Pack to make the single ?Blueberry Afghani?. The song soon became a hit and was chosen as a ?Download of the Week? by 106 KMEL and many music sites such as The Fader, UK's Hip Hop Connection and XLR8R praised it. The two graduated from high school in the summer of 2006. Dhar went on to attend San Francisco State University in San Francisco, California and Singer-Vine attended Columbia College Chicago, in Chicago, Illinois. But in order to pursue their dreams and career in music, they both decided that they would have to leave school. The duo then packed their bags and moved to Los Angeles, CA, where they began working on their music full-stream, creating songs like "Club Love" and ?Baby Baby", the latter which went on to be featured on the hit reality series Keeping Up with the Kardashians in early 2010. By 2007, they released their second album, Technohop Vol. 2, and in 2008 they released their third album The 13th Grade. Cyrano announced via Facebook on August 22, 2012 that Campa had decided to "follow his heart and put music down". Cyrano will continue The Cataracs as a solo artist and ended the statement with "So all that being said... Whattup guys. I am The Cataracs."